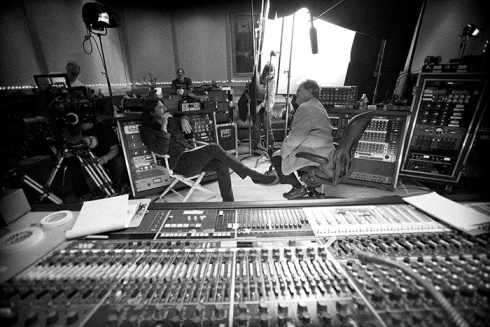 In his directorial debut, musician Dave Grohl tells the story of the Los Angeles recording studio ‘Sound City’, which was the birthplace of several iconic rock albums. The star of this documentary is the Neve console, an incredibly rare analog mixing console which produced a rich, wonderful sound. The recording studio is repeatedly referred to as dumpy by those who recorded there, yet the highest praise is heaped upon the Neve console. The wide array of musicians surveyed for this documentary agree ‘Sound City’ may have been gritty, but the music which was created from the Neve was priceless. Grohl’s high regard for this studio is very apparent; he practically leaps out of his seat with boyish glee many times while recounting stories of ‘Sound City’. His personal praise is understandable, due to having recorded Nirvana’s Nevermind there, which propelled him into super-stardom. A good deal of significant contemporary musicians, such as Fleetwood Mac, The Grateful Dead, Tom Petty, Neil Young, Rick Springfield, Rage Against the Machine, Tool, Bad Religion, Nine Inch Nails, Weezer, and many others recorded at this unassuming studio due to the analog recording offered by the Neve. Not every album produced at ‘Sound City’ was as exceptional as Grohl believes, despite the passionate championing of the recordings. For example, as an avid Nine Inch Nails fans, I can assert with authority that the two albums which the band produced at ‘Sound City’(With Teeth and The Slip) though decent, do not possess the best sound fidelity(The Downward Spiral, The Fragile, and Year Zero) that the band has ever produced. Despite Grohl’s possibly disproportionate praise of every recording which emanated from ‘Sound City’ and the Neve, his narrative arc of the studio ultimately closing due to digital recording is an important story. In the early 1990s digital recording began to transform the landscape of the music industry. The revolution in digital recording and editing resulted in less need for physical studio space and the corresponding analog equipment therein. Pro Tools digital music editing software became affordable and preferred over analog studio recording, due to ease of use and economy. Though everyone knows that analog music sounds better (compare a CD recording with a vinyl version; the vinyl will always sound richer), digital recording is for the masses, not the few and this is why it caught on. Digital manipulation is a good thing on one hand, due to the democratizing of music production, but the experts who utilized analog production were fine artists who have been pushed to the wayside. Grohl was such a fan of the Neve board that he purchased it for an undisclosed amount of money (originally priced at $75,000 in the early 1970’s) when ‘Sound City’ closed its doors. 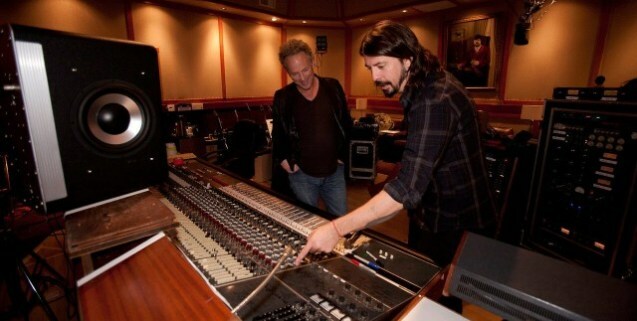 The Neve was installed in Grohl’s home studio, so that it could be available for musicians in the future who crave analog sound. The end portion of the film showcases artists like Stevie Nicks, Rick Springfield and even Paul McCartney recording in Grohl’s studio. Though this film may be slightly apocryphal, witnessing the huge smile on Grohl’s face as he jams with his remaining Nirvana band mates and Sir McCartney is a true delight.